With Sino-UK relationships currently enjoying a "Golden Era", HRH’s visit to the PHBS UK Campus comes at the right time for further enhancing the link between the UK and China in education. 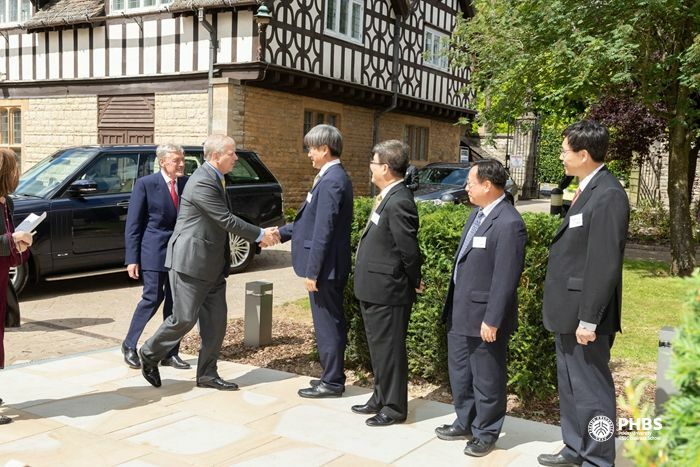 During the visit, The Duke of York pointed out that "education will make Chinese and British talk together, learn together, and would serve to break down cultural and historical barriers on the two sides, which will increase understanding. 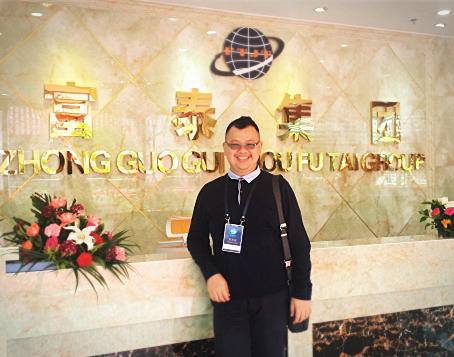 The UK Campus of Peking University is well-placed to increase business, investment and partnership collaboration between the two nations." Founded in 1898, Peking University is the oldest institution in China’s higher education sector. 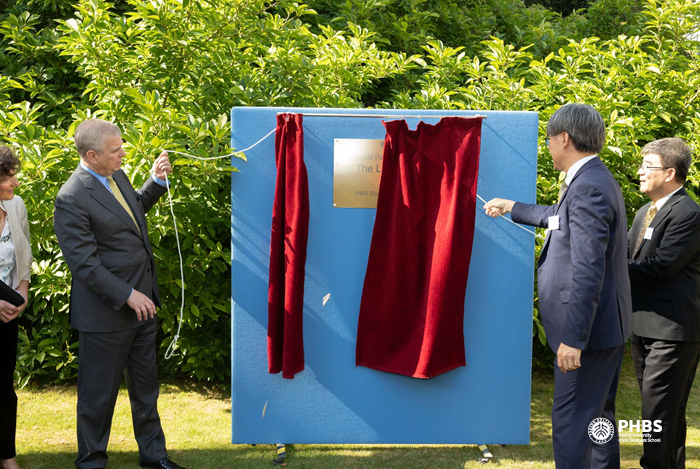 The University inaugurated its UK Campus on 25th March this year in conjunction with marking its 120th Anniversary. 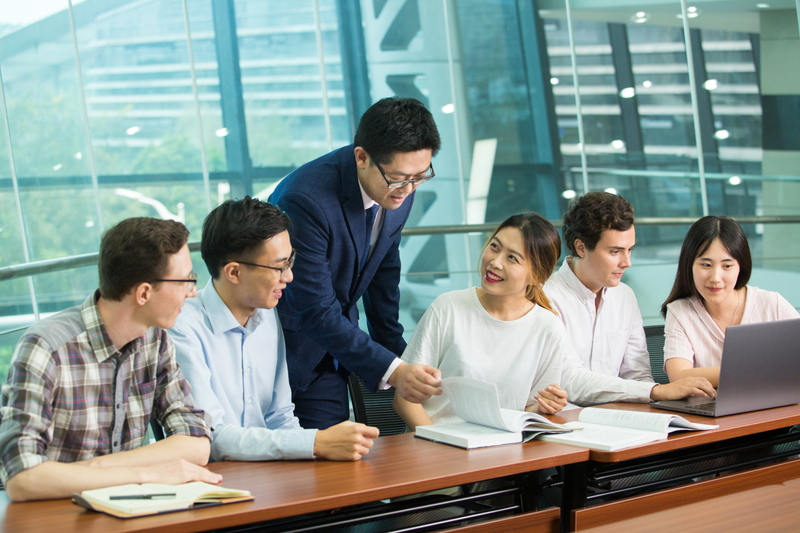 The Campus aims to provide Peking University students with an opportunity for cross-border learning during their study in Peking University, expanding the global expertise of these talented individuals, particularly relating to Sino-UK/EU relations. In the meantime, the Campus also provides British and other international students with an opportunity to build up their understanding of and networking with Chinese businesses and the economy. 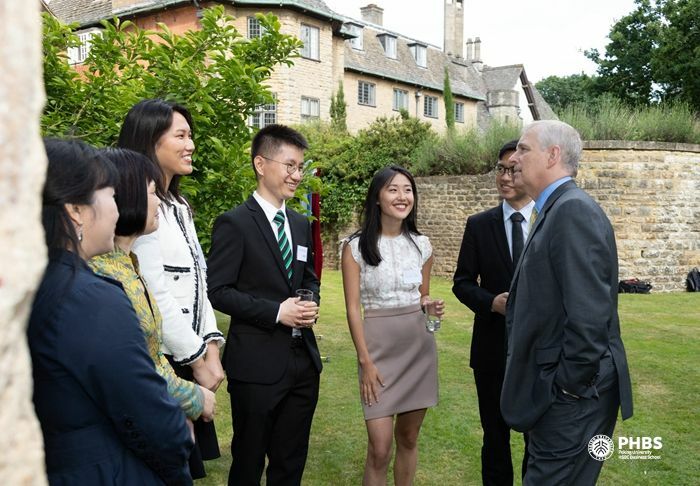 For people who want to understand and learn more about China’s economy and development, The Duke of York acknowledged that the UK Campus, Peking University as an excellent place for people wishing to gain knowledge relating to China. The opportunity in the Campus is open not only to young Chinese talents to gain international experience through a period of study in the UK, but also open to British, European and other international students to learn the necessary business skills before they move to China to deepen their study, or directly explore development opportunities in business and investment in China. HRH The Duke of York was greeted by Professor Bo WANG, the Vice President of Peking University; Professor Wen HAI, the Vice Chairman of Peking University Council and the Dean of Peking University HSBC Business School; Professor Yundong WU, the Principal of Peking University Shenzhen Graduate School; and Professor Shaojia LIU, the Head of Peking University HSBC Business School UK Campus at the reception area. 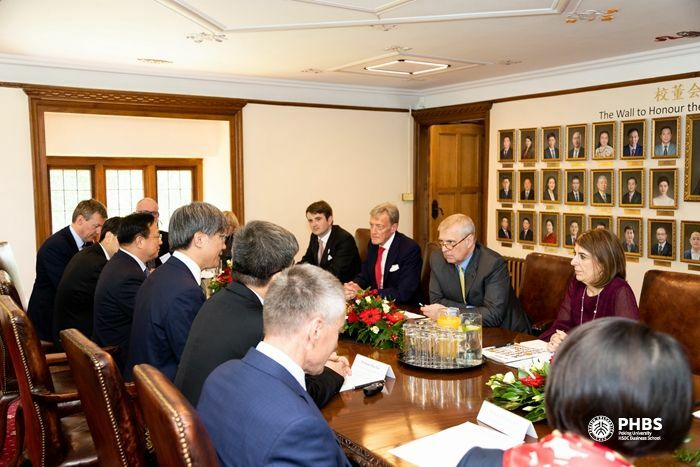 HRH The Duke of York was warmly welcomed by the Vice President of Peking University, Professor Bo WANG, as an introduction in the briefing session. Professor Wang expressed the interest of Peking University towards the Pitch@Palace Innovation Program in China, which is supported by The Duke of York. During the briefing, the Vice Chairman of Peking University Council and the Dean of PHBS, Professor Wen HAI, introduced PHBS and the PHBS UK Campus’ current development and the plans for future development. 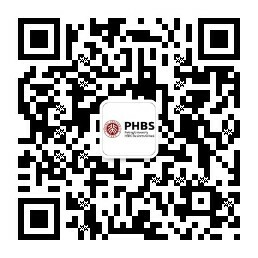 PHBS is one of the most internationalized business schools in China with 70 full-time academic faculty and 1015 full-time students. 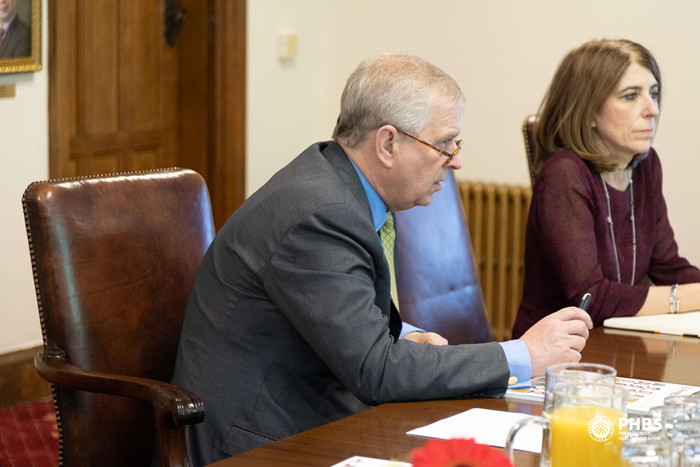 During the briefing, HRH The Duke of York pointed out that, for China’s One Belt One Road Initiatives, it is extremely important to promote cultural and social communications among nations. 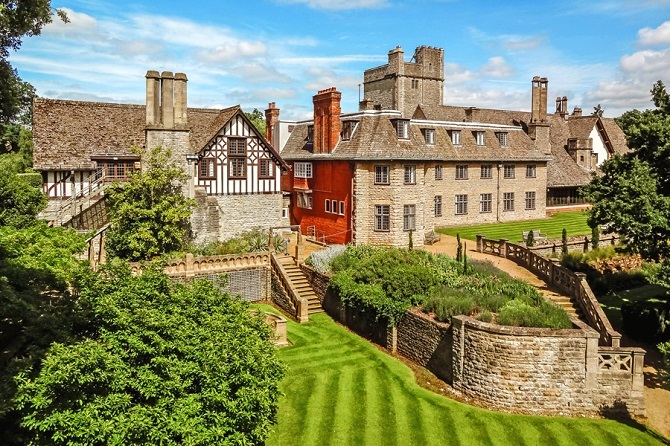 The establishment of the UK campus is particularly helpful in providing such a great opportunity for people in the UK to learn more about and better understand about China. 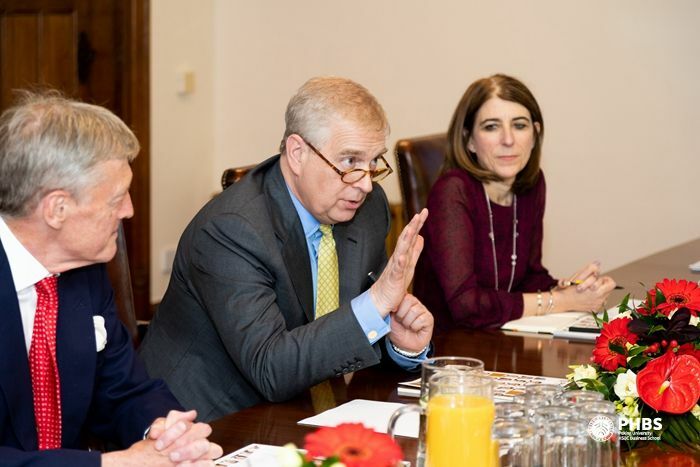 In the briefing, HRH The Duke of York discussed with dignitaries about strategies in attracting British students to study more internationally. 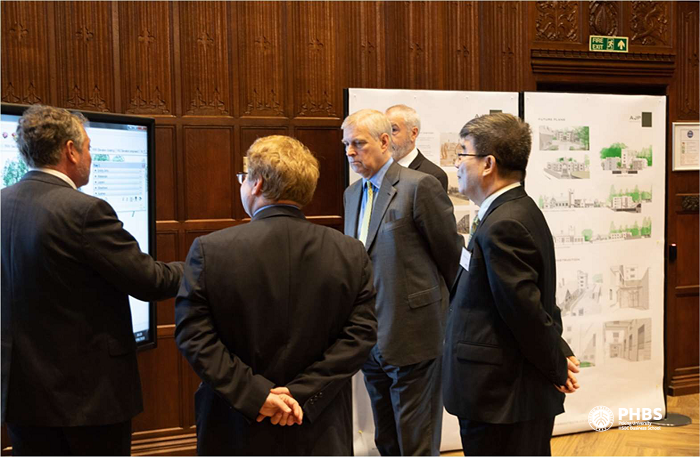 HRH The Duke of York listened to the architect about PHBS UK’s proposed building plans for student accommodation at the Campus. 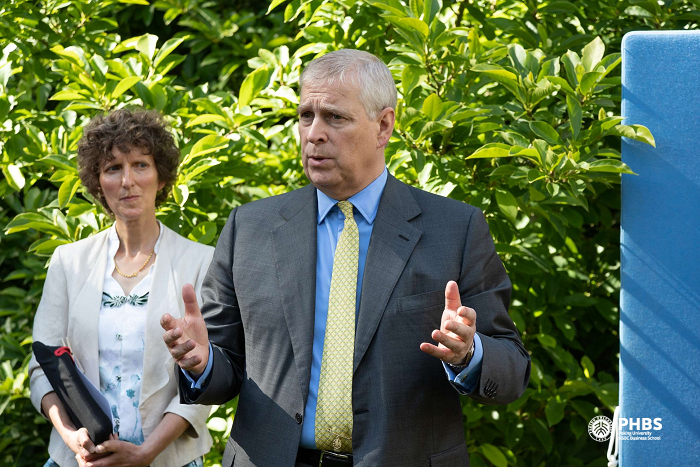 HRH The Duke of York walked to the Italian Sunken Garden. 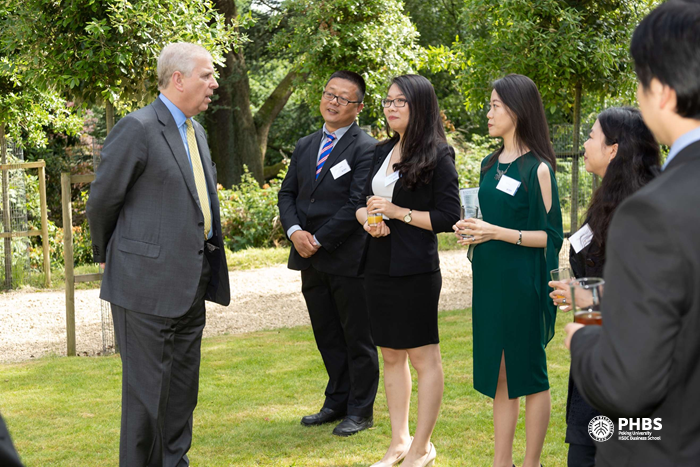 HRH The Duke of York talked to Peking University Alumni in the Garden Drinks Reception during his visit to the PHBS UK Campus. 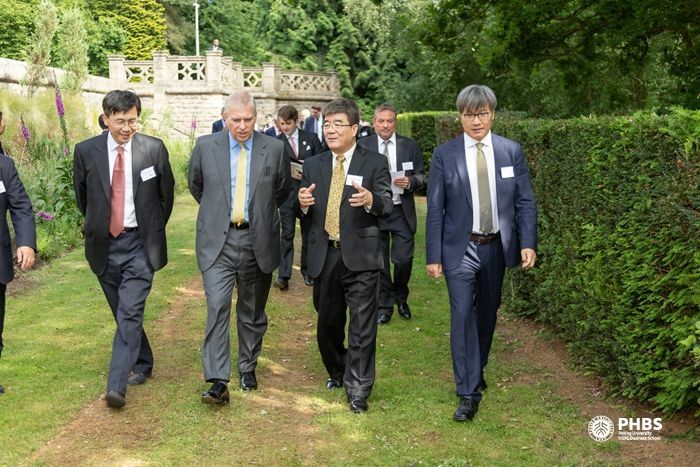 HRH The Duke of York talked to students of PHBS UK Campus. 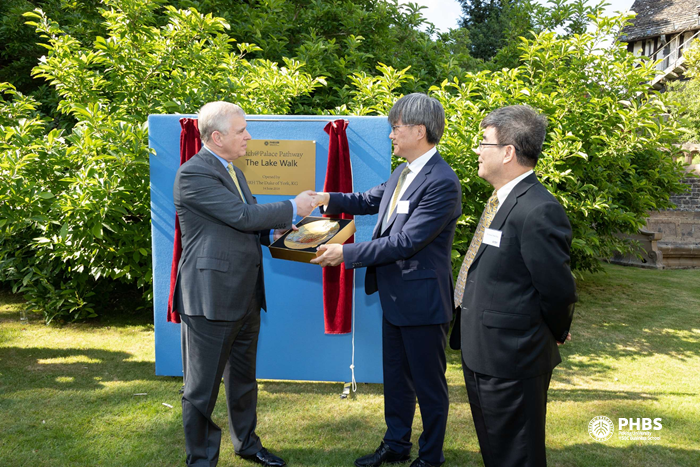 HRH The Duke of York unveiled the plaque to commission the Lake Walk, Pitch@palace Pathways.